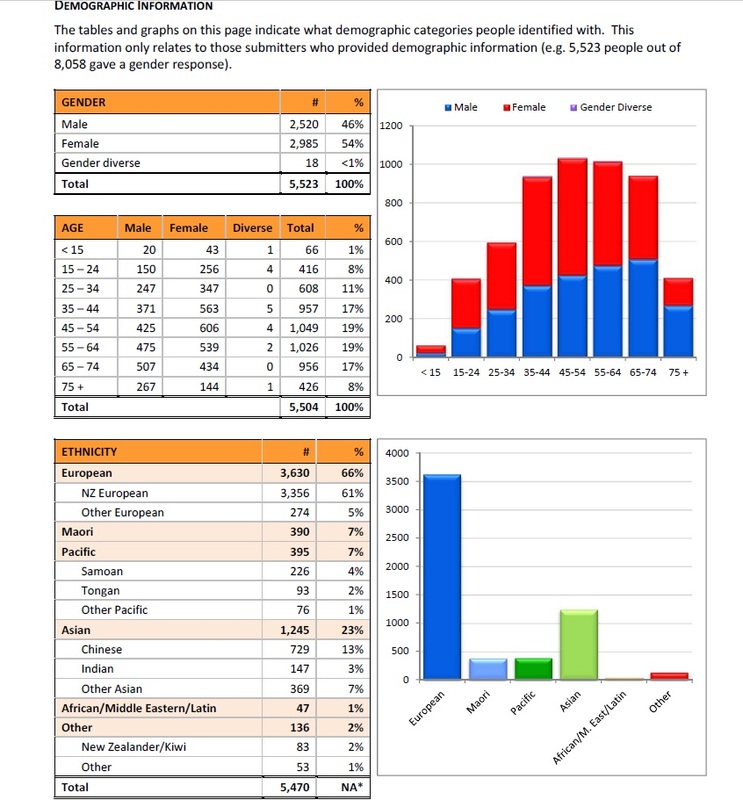 A record number of submissions were received for the 2017/2018 Annual Plan (~8,500) with the demographic and Local Board area split pretty much even. Auckland Council’s Annual Budget consultation received 8,058 written submissions – an increase of more than 140 per cent on the previous year and triple the number of submissions compared to 2014/15. In addition to written submissions, 103 comments were received via social media while nearly 1,500 Aucklanders attended one of the Have Your Say and other feedback events across Auckland. More feedback was received from Auckland’s diverse communities, including Māori, Pasifika and Asian Aucklanders, than ever before. This represents 44 per cent of the total – up from 18 per cent last year. The living wage policy for council staff received strong support with 71 per cent supporting the proposal. Finance & Performance Committee Chair, Councillor Ross Clow, said the level of interest in the consultation showed Aucklanders are keen to have their voices heard. 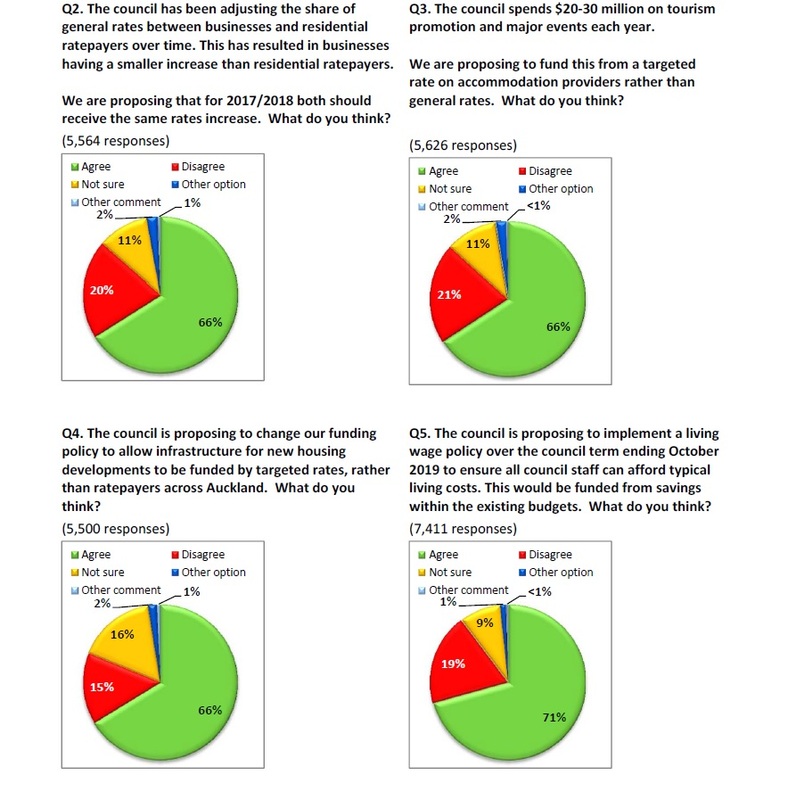 “I want to thank Aucklanders for taking the time to consider how the council spends their money and to express their views on the council’s priorities over the coming financial year. Auckland Mayor Phil Goff said it was pleasing to see support for the council’s policies to share the burden of growth and help underprivileged Aucklanders lead a decent life. “Ratepayers have shouldered the burden of Auckland’s growth for too long. It is time for those that enjoy the benefits of growth to pay their fair share, and the feedback suggests that Aucklanders share that sentiment with broad support for the targeted rate on accommodation providers and growth infrastructure chargers. Elected members will now consider the feedback in a series of briefings and workshops ahead of final decisions, which will be made on 1 June. The plan will be formally adopted by the council on 29 June and the final plan, including 21 local board agreements will be available on the council website in July. 66% is one percent shy of a Super Majority while 71% is just shy of an absolute majority of 75%. What it does indicate that people are very willing for those employed by Council to be paid a Living Wage while support for the bed tax (as it were) is also very high. Given the strong majorities this should be very clear cut to those on the Finance Committee at Council. Or will it be?